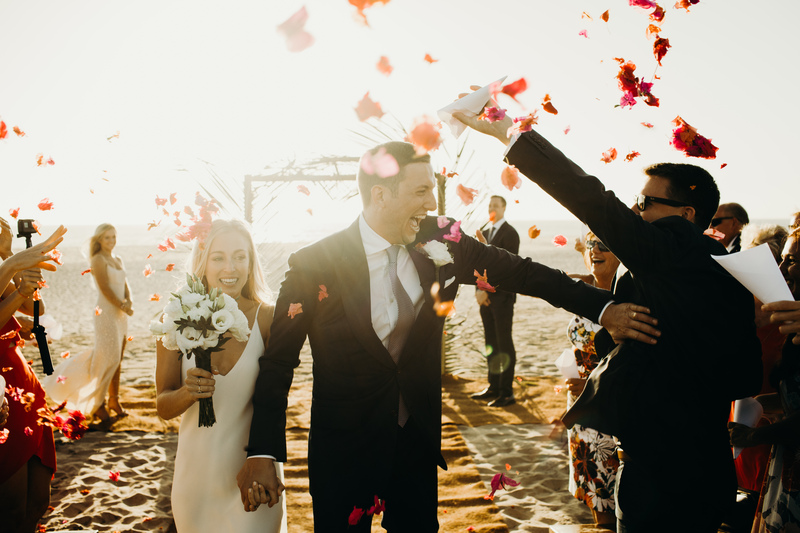 Alex & Ryan were not fussy about their wedding florals, but they definitely knew what they wanted for their Rancho Pescadero wedding! Simple & white! 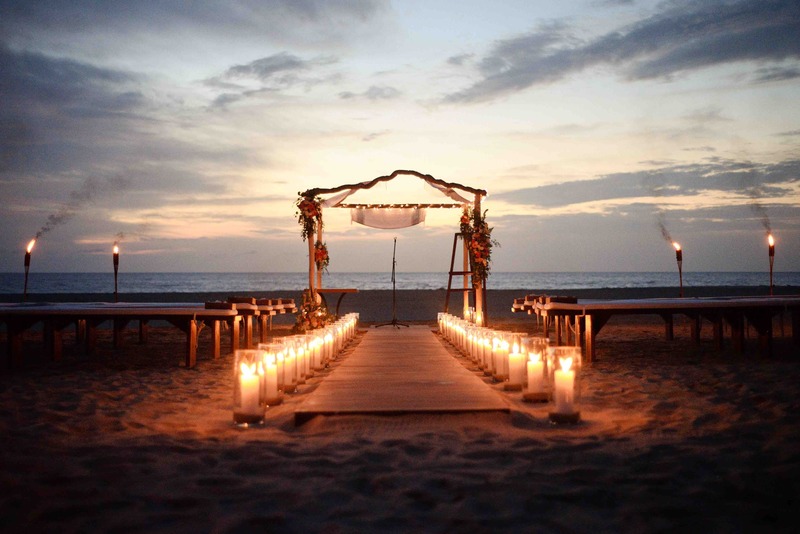 Nothing too big, but romantic & lovely! We hit the mark perfectly, as you can see in all of the following photos! 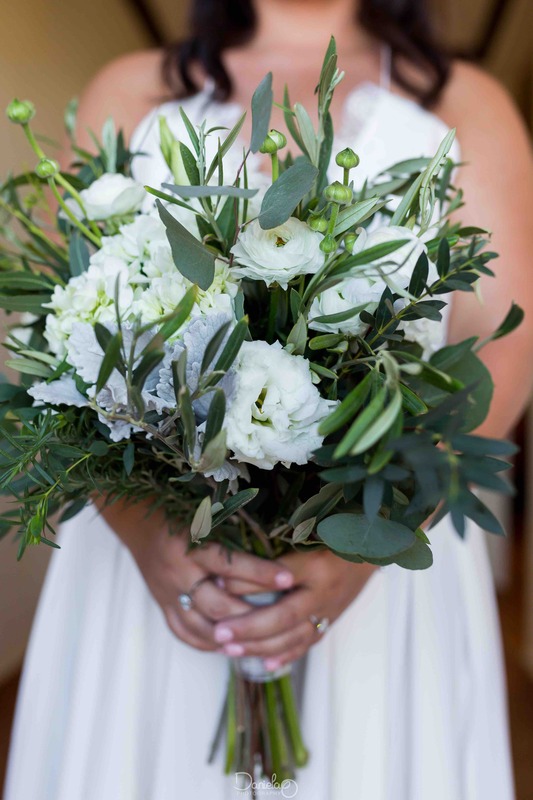 Our beautiful bride, Ellie, knew exactly what she wanted her bouquet to look like…natural, leafy, green & white only, and very fresh and romantic! 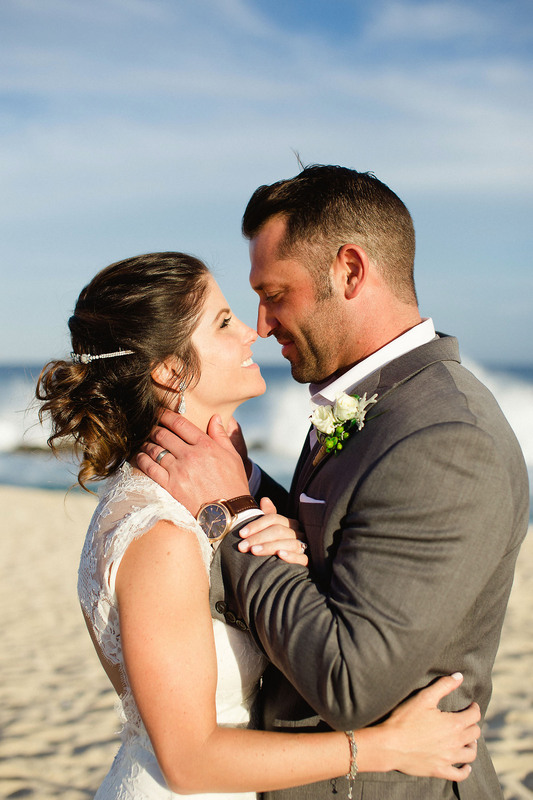 We know we fulfilled her every wish & presented her with her perfect bridal bouquet! 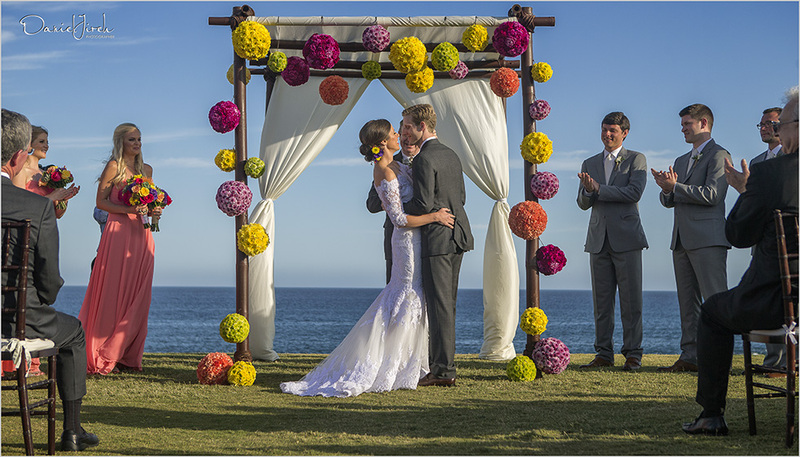 One of our favorite parts of a Cabo wedding is when, working with a wedding planner, we get to present the personal flowers to the bride and groom. Getting ready to proceed down to the ceremony….the florals all look perfect! 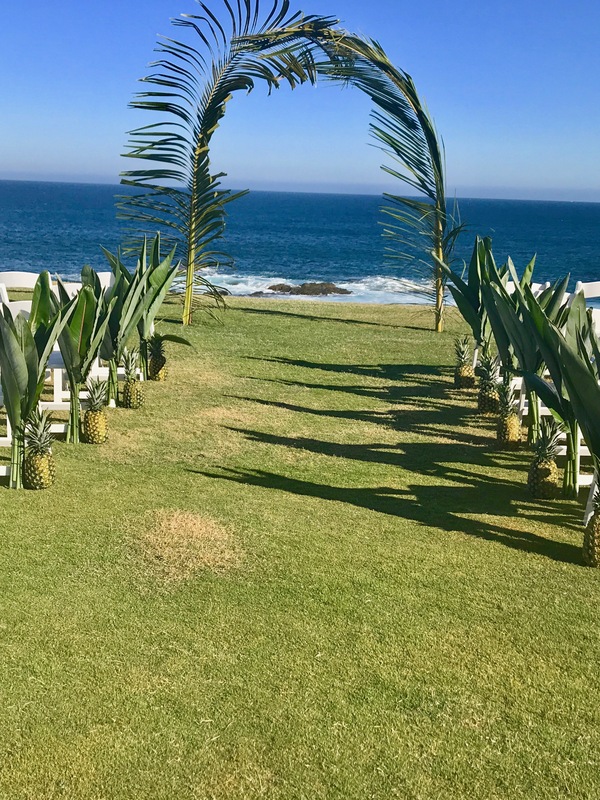 The palm arch and pineapple & Bird of Paradise leaf aisle decor look adorable…and we used the pineapples as cocktail table decor after the ceremony! 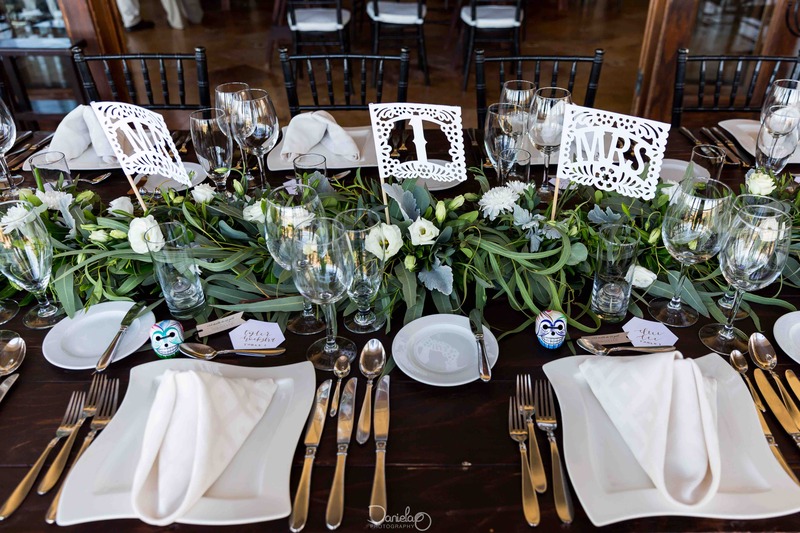 Papel picado table signs…a great way to bring a little bit of Mexico into your Cabo destination wedding decor! 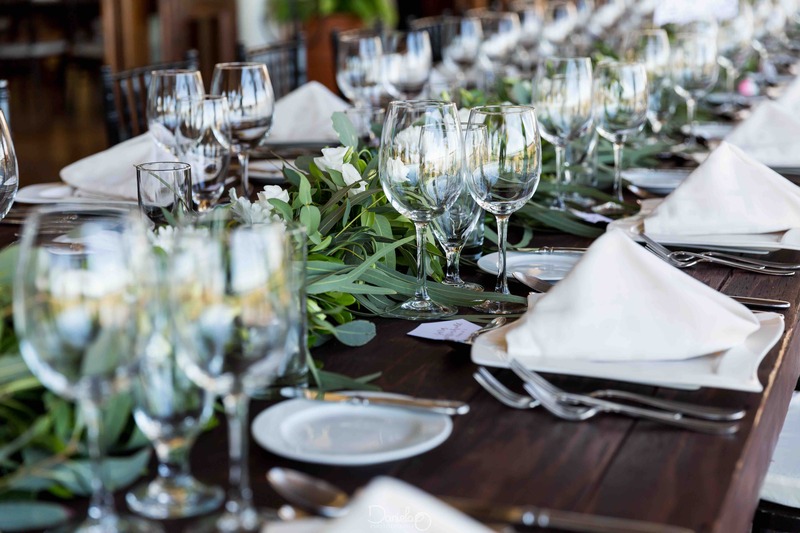 A eucalyptus leaf floral runner was stunning on the wooden farm tables! 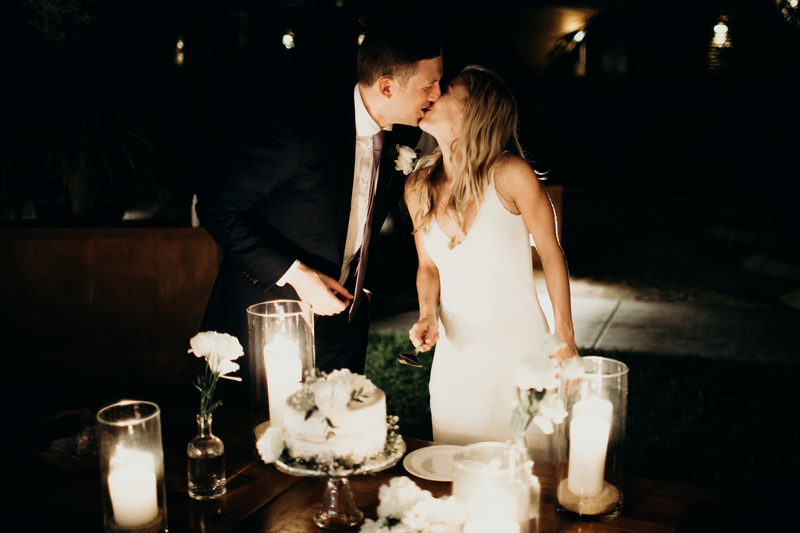 What a pleasure it was to work with Keely & Jeff, and their wedding planner, Katie Thompson, of Dazzle ‘Em Event Design, on their wedding florals! We first met the cute couple when they came in January of this year for a site tour and floral meeting . 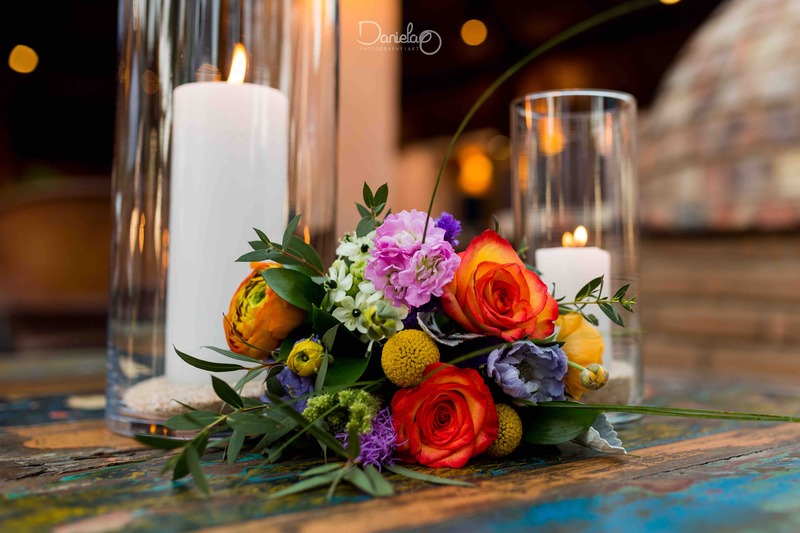 At this meeting, we had a great time playing with the flowers, with Keely (working together with our floral designers) coming up with the perfect way to arrange a lot of precious small vases on a rectangular wooden farm table. The end result of that meeting? The amazing floral decor you’ll see below. 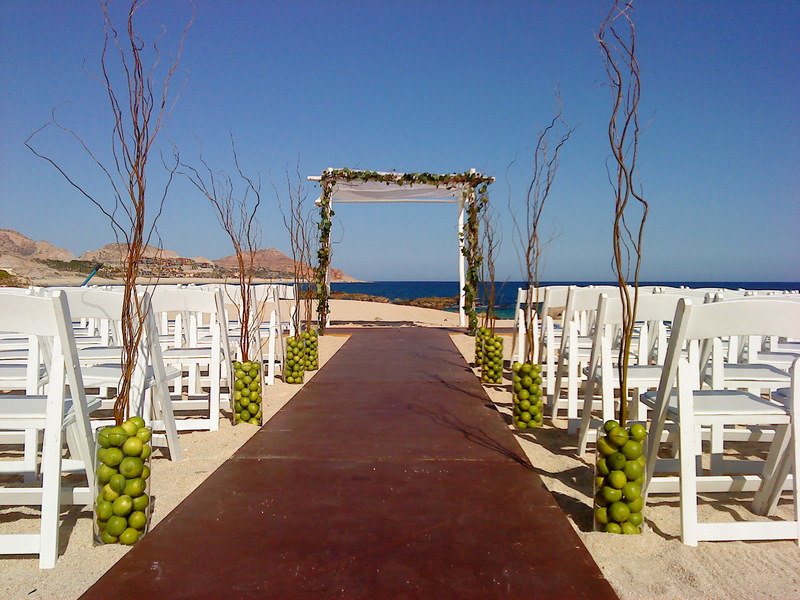 Ceremony location: Cabo del Sol Golf Clubhouse Beach. 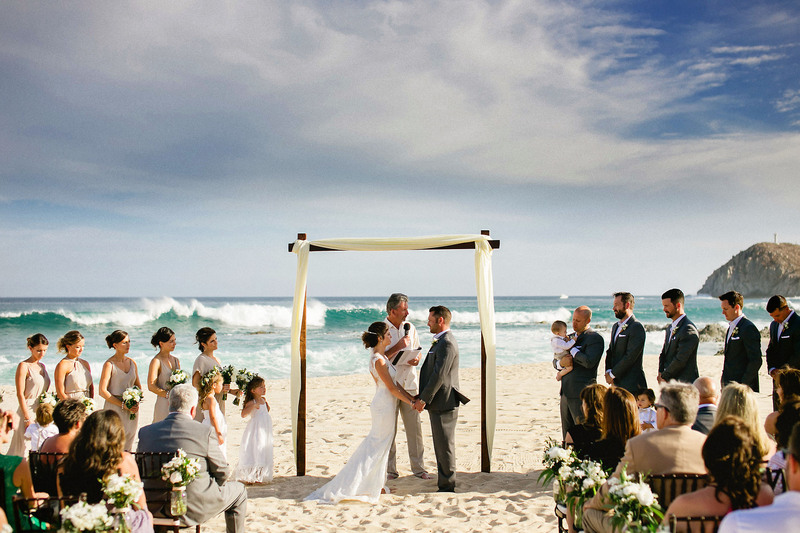 We created a simple arch, framing the crashing waves at this amazing beach venue. 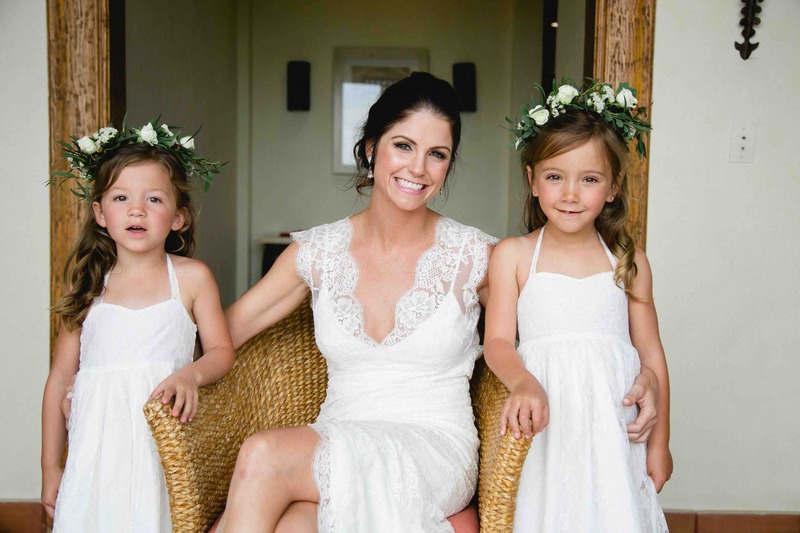 From the bridal bouquet, to boutonnieres, to the flower girl head wreaths, this couple’s florals were created with love & creativity! 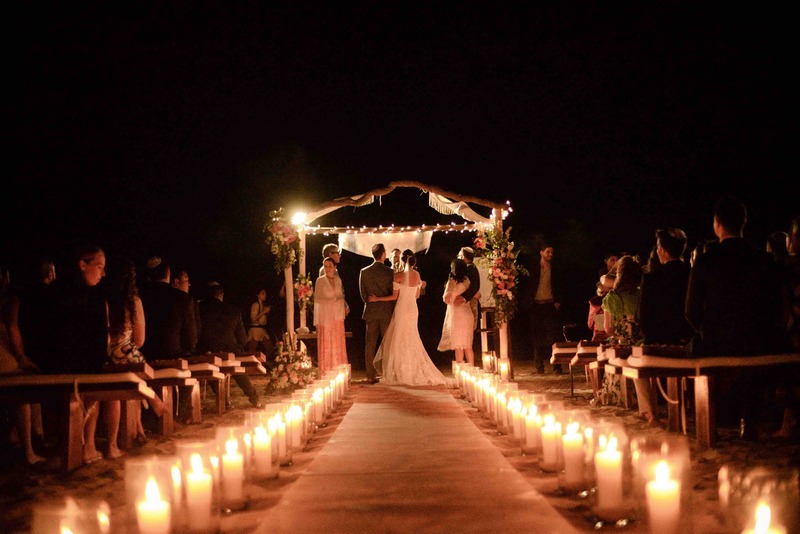 Let us help YOU create the wedding you’ve always dreamed of…contact us today! 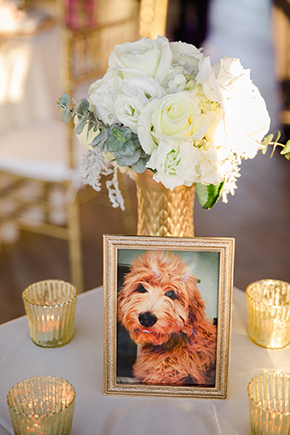 These Trends are the Secret Ingredient to Wedding Fabulousness! With the first month of 2016 coming to a close (can you believe how quickly January has flown by! 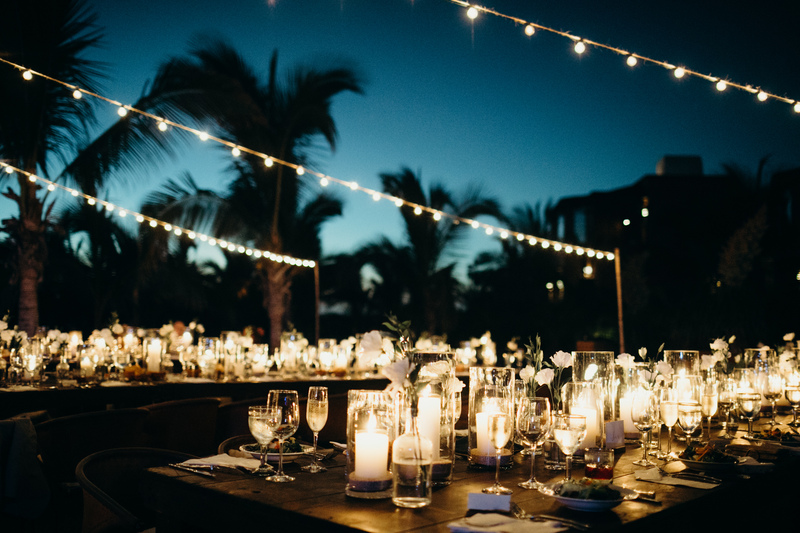 ), we wanted to highlight a few more wedding trends that we think are adorable and truly fabulous and should be brought here to Cabo immediately! 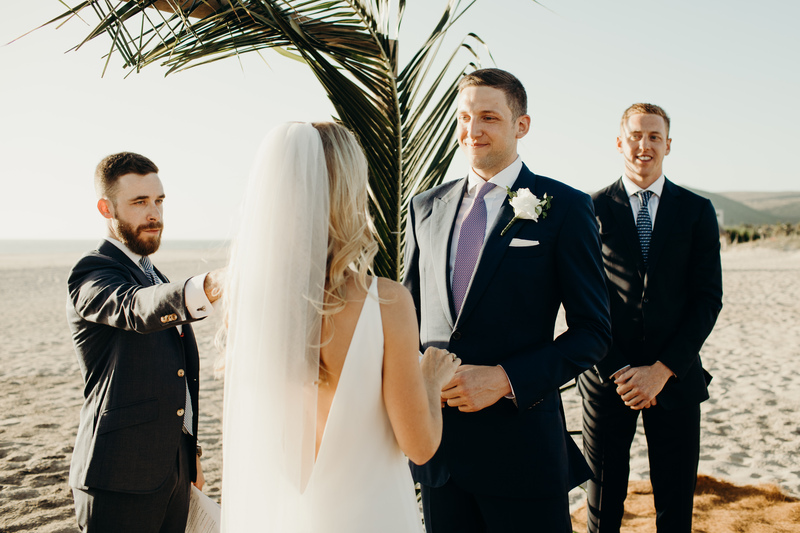 Especially with a destination wedding like this one in Cabo, it can be difficult to include all of our besties, especially our furry ones! So what better way to include them, then to give their photos a place of honor at the reception. 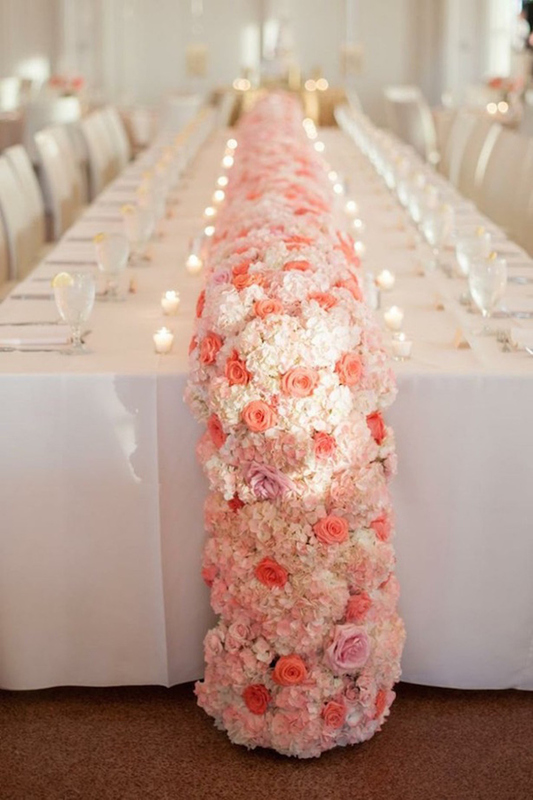 Instead of linen table runner, try a floral table runner on a simple white linen. 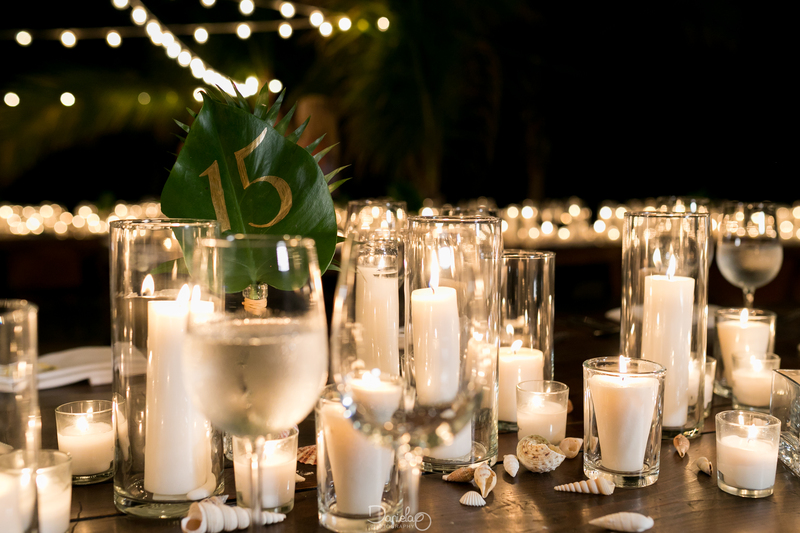 Lined with candles, this adds the drama of hundreds of flowers, still leaving room for your guests to be able to chat across and down the long table. 3. Greenery, and lots of it, is really hot right now, and it’s not just limited to the table. 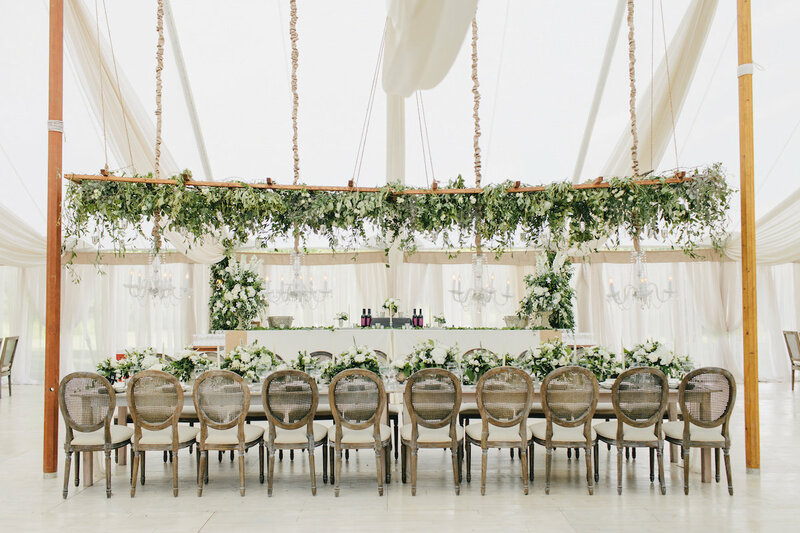 Hanging greenery, especially in a location like Cabo where for most of our venues, literally the sky is the limit, this adds an amazing view from the tables. 4. The flowers should, of course, scream glamour, but let’s not forget about the vase! 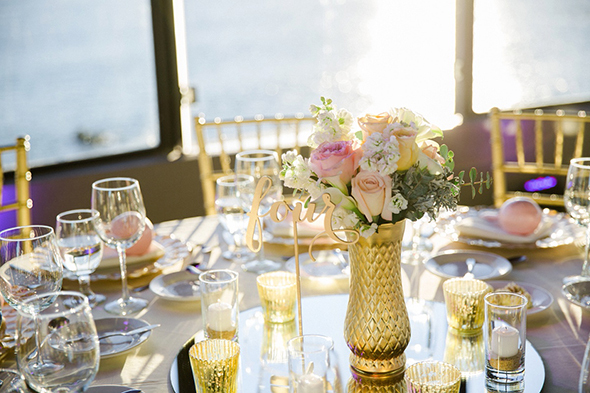 Clear vases, emphasizing the beauty of the stems, with rocks (or shells, or jewels, or seaglass…the list goes on) are clean and simply gorgeous. Mallory & Evan’s chuppah (shown above) was so creative and showcased their happy personalities perfectly! Those balls are officially called “pomanders” and we were so pleased with this whimsical wedding look! We also had a blast creating this beautiful bouquet! Mallory wanted color and succulents, and we were happy to oblige! 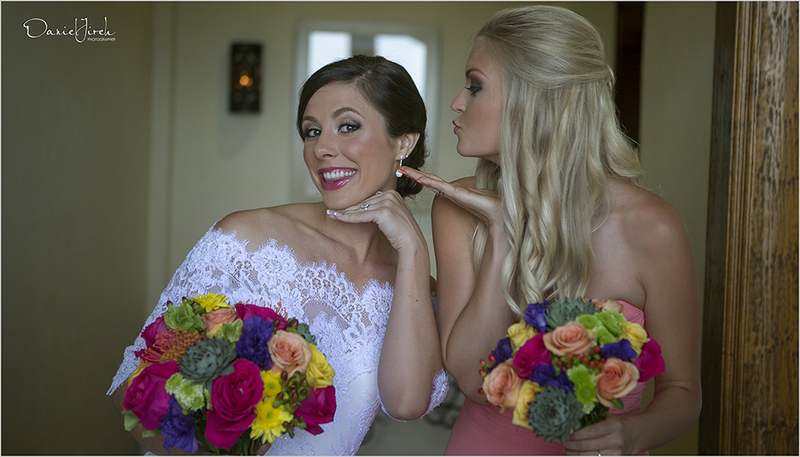 Her bridesmaid bouquets were similar (just a bit smaller) and added even more pops of color throughout the wedding! 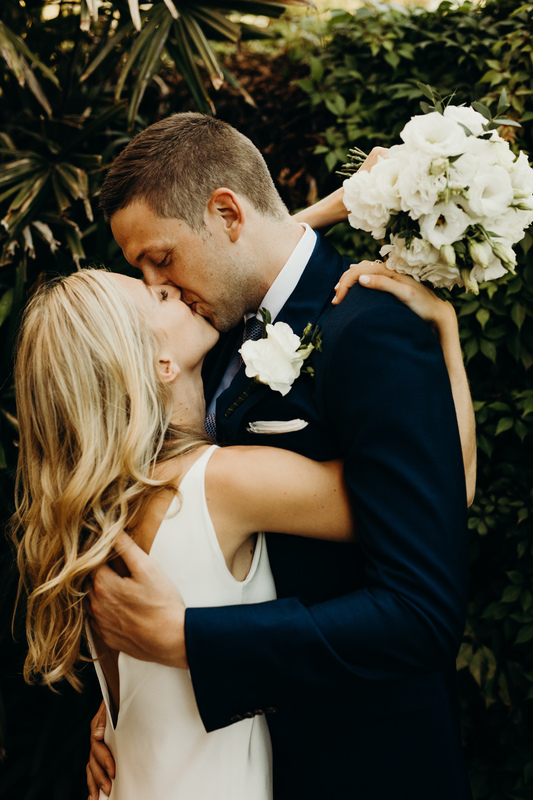 One of our favorite parts of Mallory & Evan’s floral design were these luscious hair flowers! 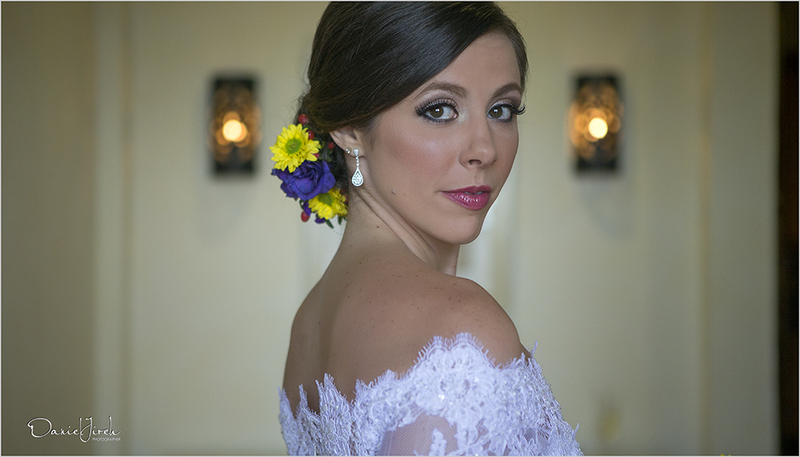 What true beauty…just what every bride wants for her wedding day! Congratulations, Mallory & Evan! 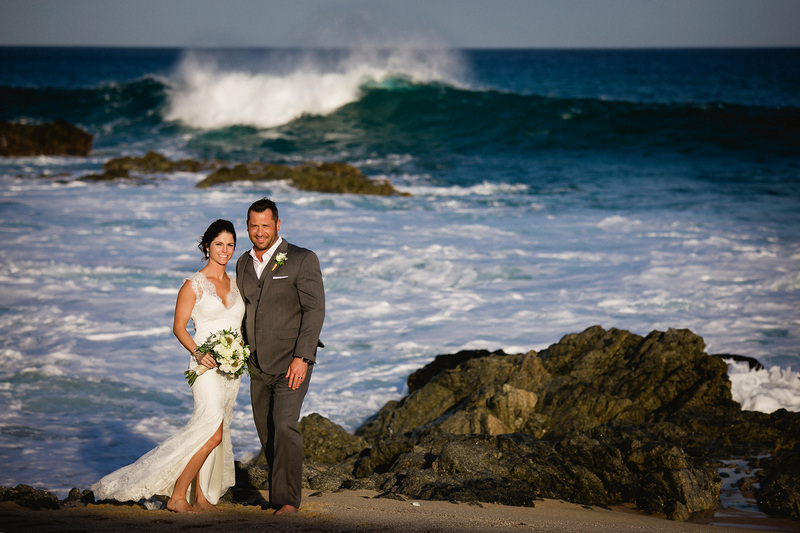 Thanks for making Cabo Flowers & Cakes such a large part of your special day! 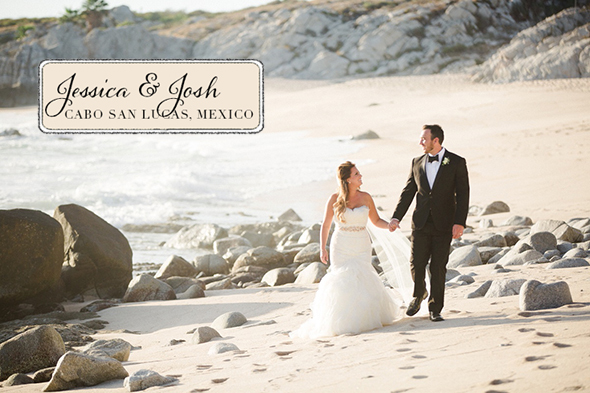 When Jessica & Josh shared their wedding design concept with us, they knew they wanted elegance! 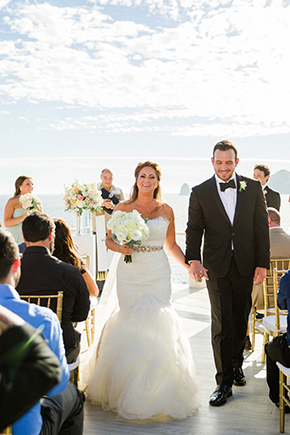 They had an amazing location for their Cabo wedding, at the world famous Sunset Da Mona Lisa Restaurant overlooking Monuments Beach and our thrilling Arch, and they wanted that to shine. 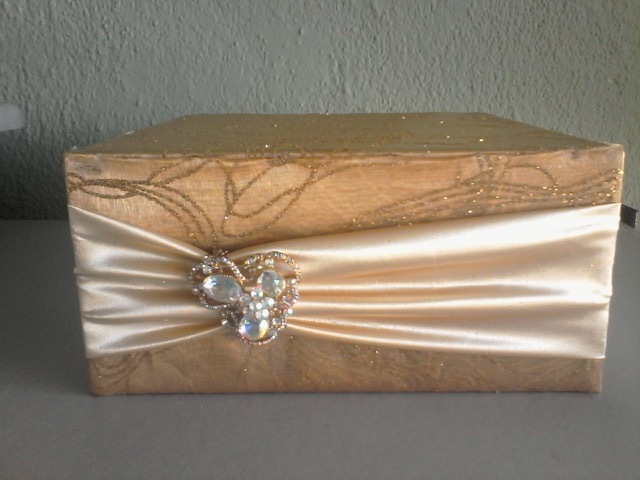 But they also wanted flowers and decor for both their ceremony and their reception that were special and glamourous! 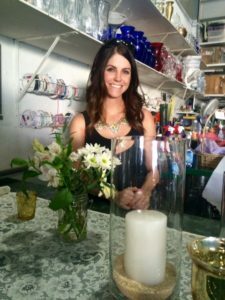 Meet Perla…She’s creating your arrangement! 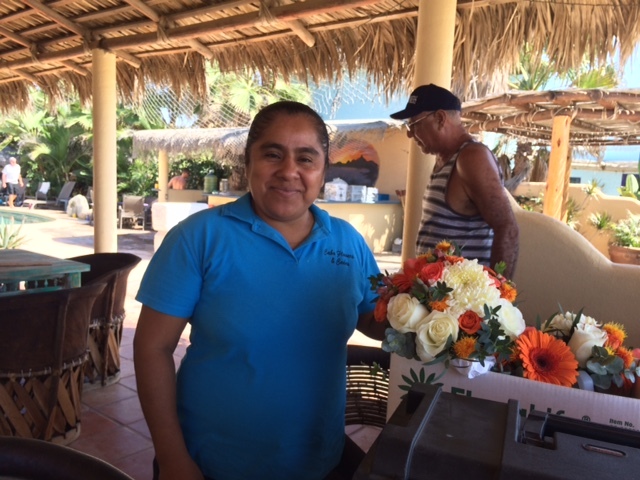 After 8 years at Cabo Flowers and Cakes, we can’t imagine how we’d get along without Perla. 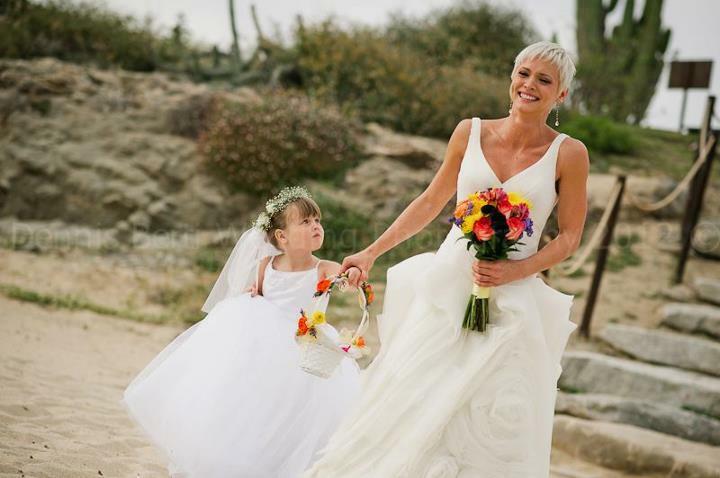 She is one of our top floral designers, having risen through the ranks at Cabo Flowers and Cakes over the years. She’s an orchid lover, and a wedding lover! In fact, one of her favorite parts of her job is going to the actual weddings and helping to set up all the florals. 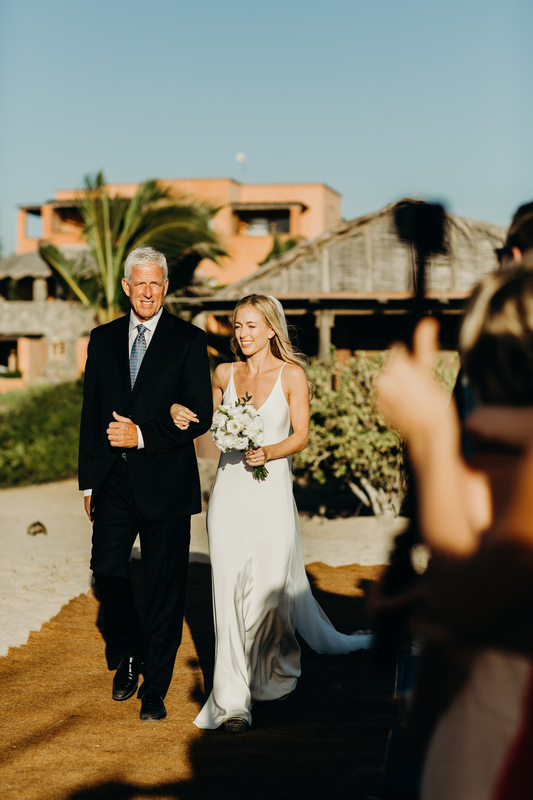 She’s a hard worker (it’s gets hot and sweaty, pulling together all the floral arrangements for a beach wedding in Cabo!) but she never complains! She can wield a staple gun along with the best of them, and can fix a troublesome flower with tools from her every-handy toolbox! 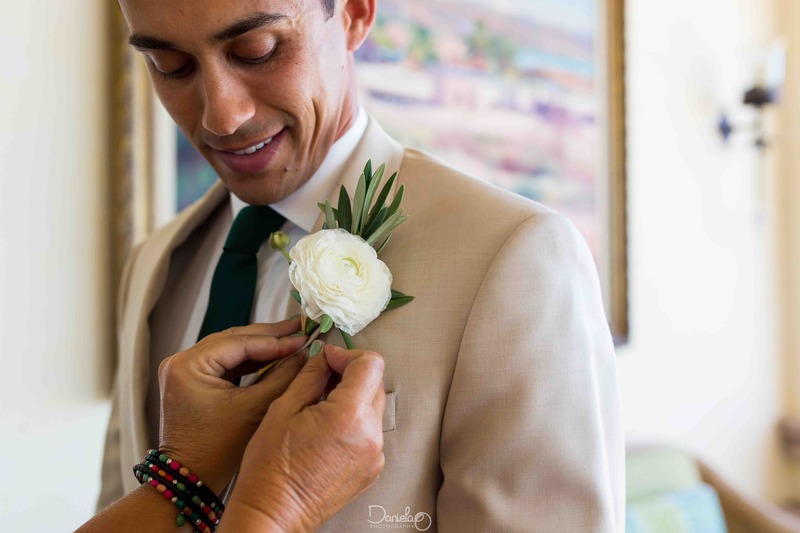 Perla’s favorite wedding locations are Cabo del Sol golf clubhouse and the Sunset Da Mona Lisa restaurant, and her favorite part of her job is producing the floral arrangements for a wedding. She says she loves it when she delivers the wedding flowers, and everyone smiles! On a personal note, Perla is also an avid soccer player. In fact, practicing her English, she sang, “I love, love soccer!” as she was being interviewed! She also loves learning English and has become much more outgoing in her second language. YES, YOUR CAKES NEEDS A STAND! 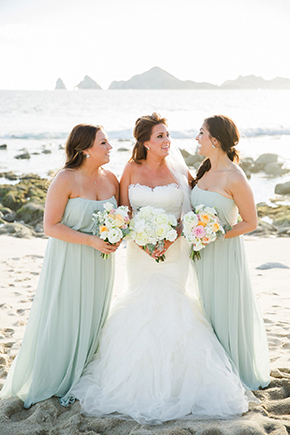 OK, Cabo brides, we know how it is with cakes. You’ve done your research, you’ve searched your heart (you may have even drawn sketches) and you’ve done your cake tasting. You’ve finally determined your perfect wedding cake, and you’ve submitted your fabulous ideas to us! Good job! But, as we look over your order, we notice…something is missing! 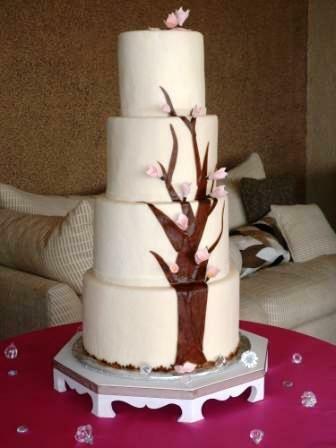 What exactly is your stunning wedding cake going to stand on? Yes, you need a cake stand! 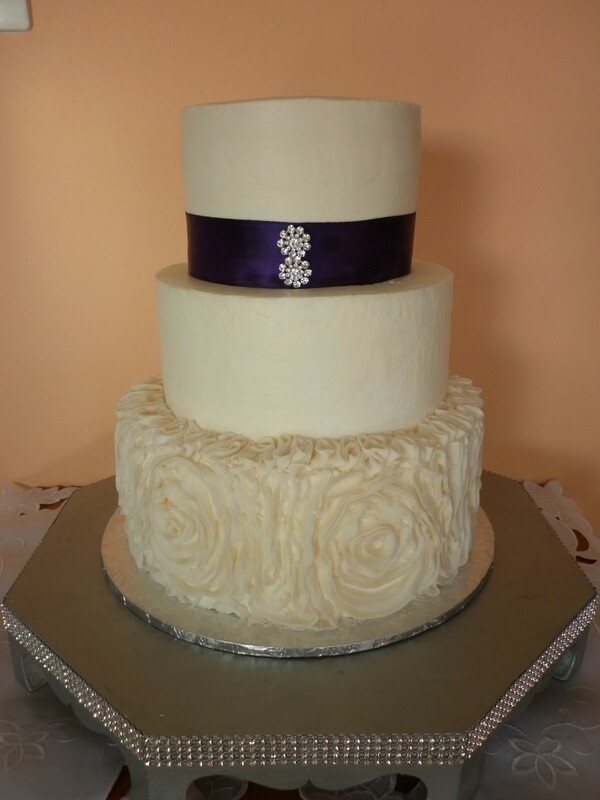 A cake stand completes your look! 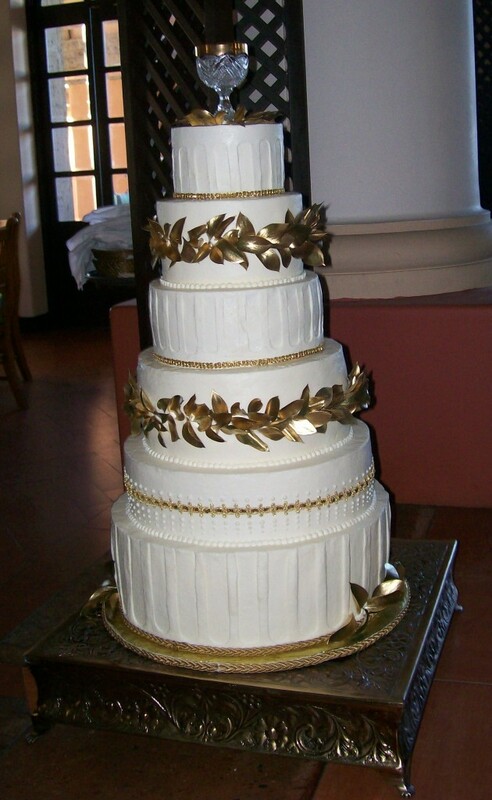 A cake stand makes a 3-tier cake appear to be a 4-tier cake, or your 2-tier appear to look like a 3-tier. (You get the idea!) 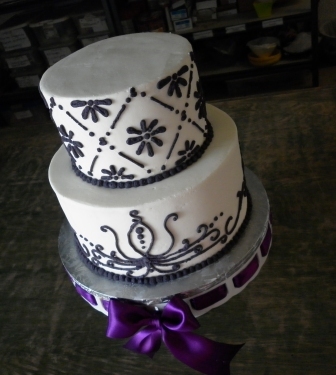 A cake stand keeps your cake about 6” off your beautiful linen. 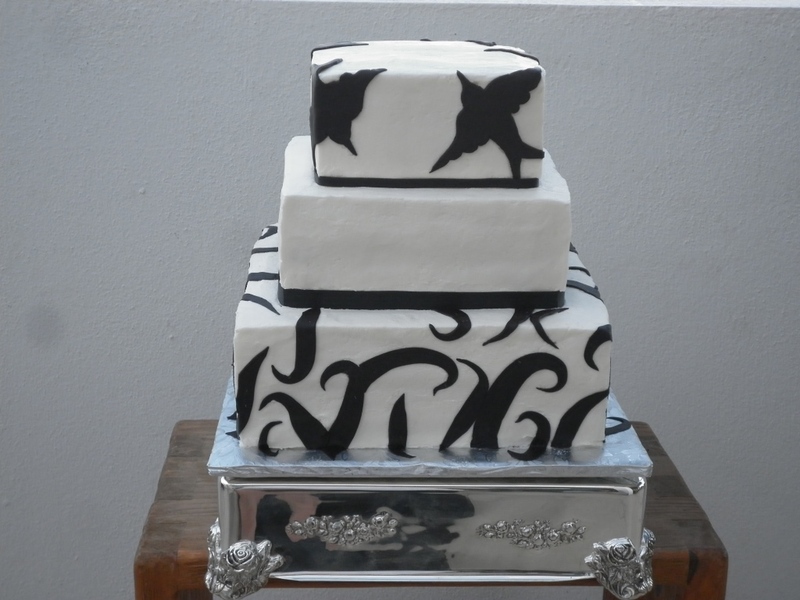 And a cake stand is one more decor element that you can use to add dazzle and elegance to your overall Cabo wedding. It also makes your cake easier to cut (raises it to cutting level) and looks great in pictures. 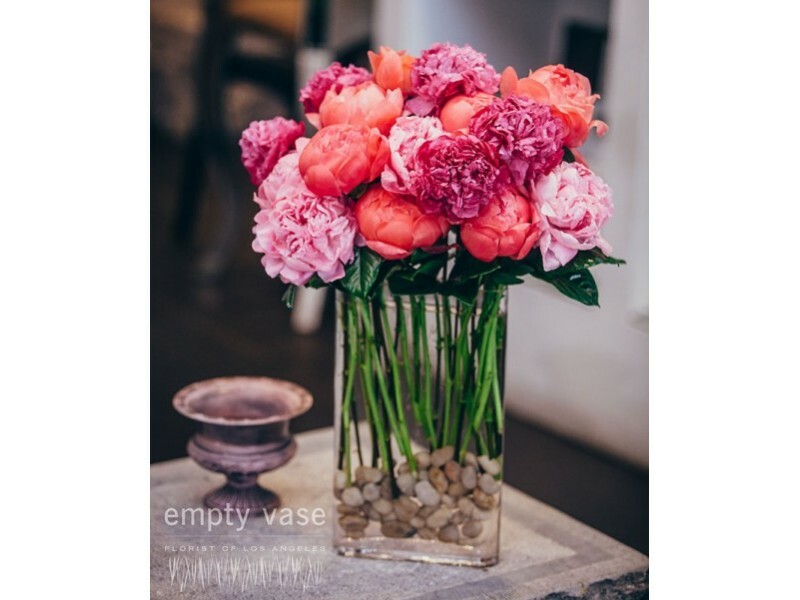 We, at Cabo Flowers & Cakes, know a little trick to keep your event decor fabulous – and affordable – with a touch of whimsy! Add a bit of fruit to your decor. Yes….fruit! Lemons and limes are our favorites, but really you can add almost any type of fruit. Keep it whole or slice it…just make sure to showcase the true beauty and color of the fruit. And make sure it’s a match, color-wise, for your event’s theme and decor. 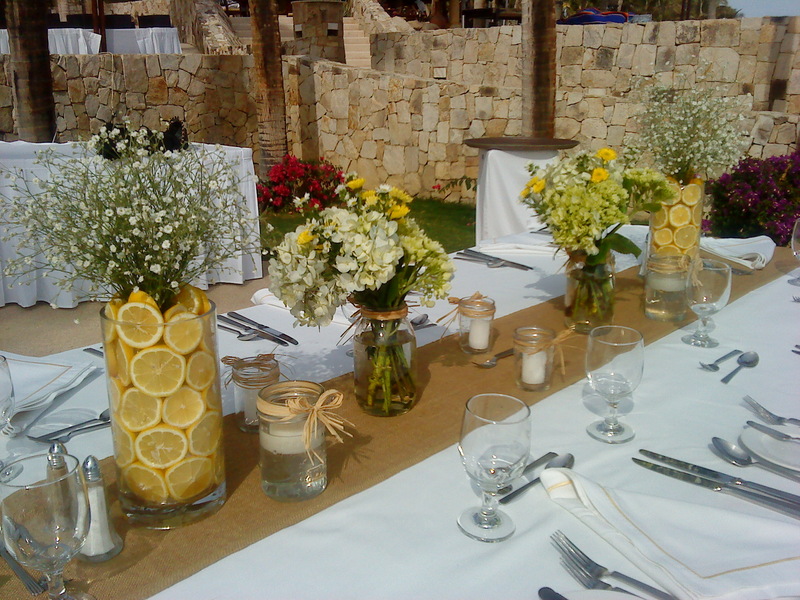 These sliced lemons lining the tall cylinder vases were a perfect fit for this luncheon’s bright, airy, and natural look. Adding the baby’s breath, Mason jars, and wrapping everything in raffia added the final finishing touches. 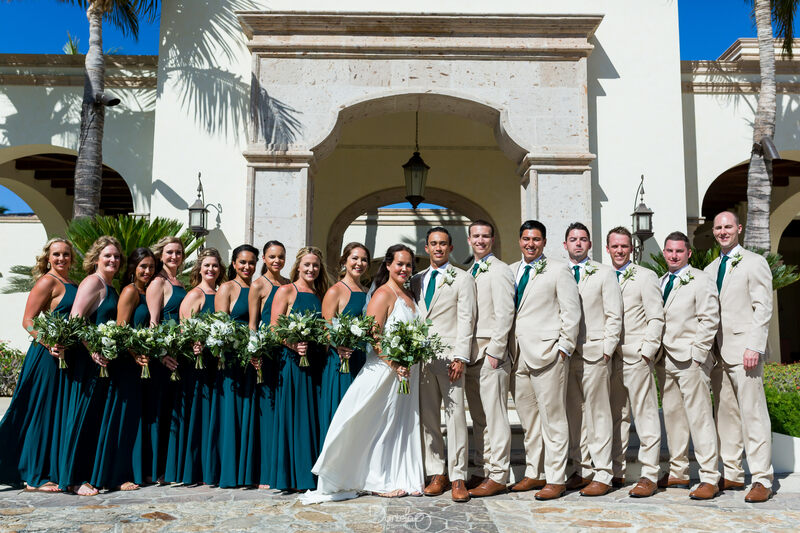 For this Cabo wedding’s natural feel, curly willow and tall cylinders of whole limes, lining the aisle walkway, were added to the ceremony decor. What a perfect way to mix the colors of brown, green and white! Very creative, very catchy! Interested in adding some color, texture and a hint of fun to your wedding decor? 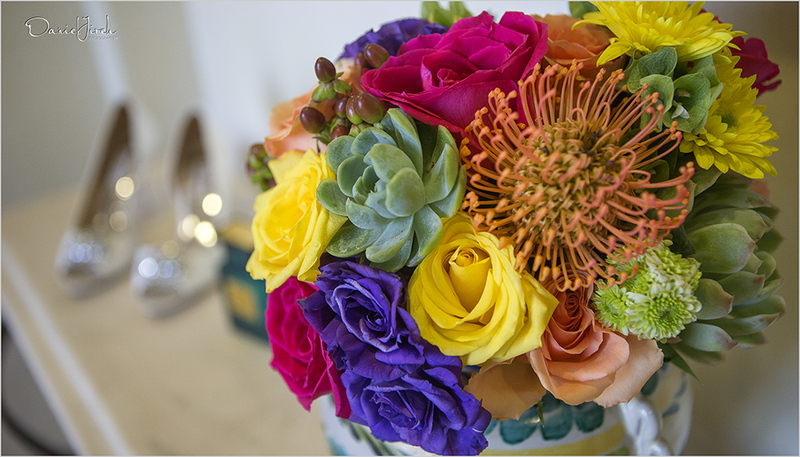 Give our floral designers at Cabo Flowers & Cakes a call. We’ll create something delicious for you!